The first month of 2014 is behind us! I am excited to start February, but nervous that I won't be able to keep up the reading with quite a few weekend plans lined up - we shall see! 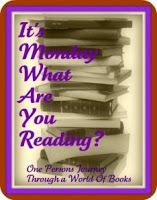 Happy Monday, hope you're enjoying all your reads.